Let's wrap up this week of amazing ideas from Caspari with this blue and white specimen. No, that is not a fancy fine china dinner plate - it's an AMAZING placemat. As in, a set of four will set you back less than $40. 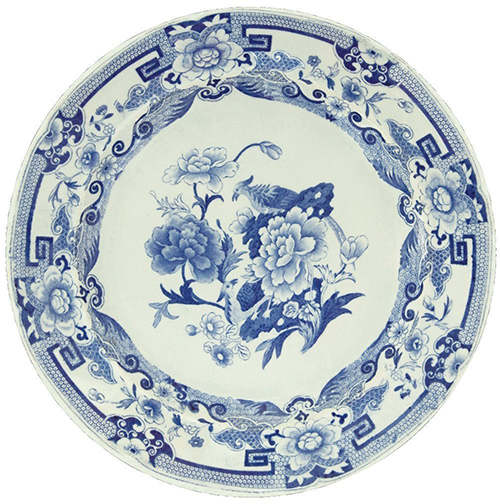 I think one of my favorite tabletop items is my Imari placemat set so I think I need to add these classic blue and white ones to my collection and use them on my Christmas table. I hope you got some good nuggets of table-setting inspiration this week...godspeed if you are planning out your table this weekend. See you next week!